JetBlue is adding new non-stop routes to two important Caribbean destionations from Fort Lauderdale-Hollywood in 2018. New routes are to: Santiago, Dominican Republic’s Cibao International Airport (STI) and Grand Cayman’s Owen Roberts International Airport (GCM). Flights between Fort Lauderdale and Santiago, D.R. will operate once daily roundtrip beginning June 14, 2018, subject to government approval. Seats are on sale today starting at $99 one way. JetBlue will operate the new Santiago flights using its spacious 150-seat Airbus A320 aircraft offering the airline's award-winning service and the most legroom in coach (b), as well as complimentary and unlimited name-brand snacks and soft drinks and free first-run Hollywood movies. Additionally, JetBlue intends to operate new nonstop flights between Fort Lauderdale and Grand Cayman’s Owen Roberts International Airport (GCM) once daily beginning in October 2018, subject to government approval, with seats set to go on sale in the coming weeks. The new flights boost the airline’s presence in the island destination with a new link to South Florida. 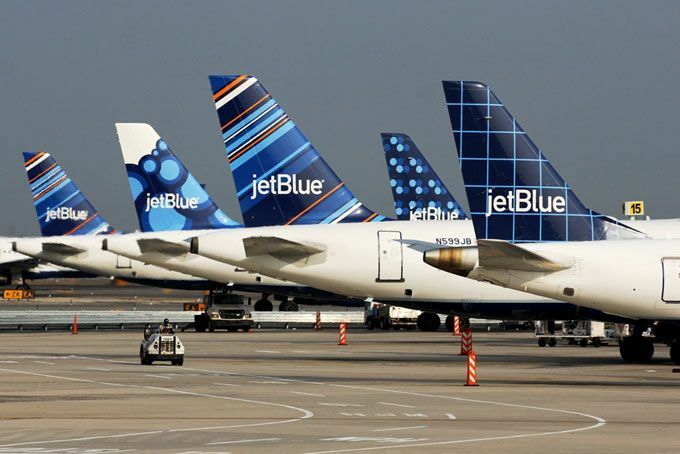 JetBlue already flies between Grand Cayman and New York’s John F. KennedyInternational Airport (JFK) and seasonally to Boston Logan International Airport (BOS). The new routes also advance JetBlue’s position as the top airline at Fort Lauderdale-Hollywood, where the airline plans to operate 140 daily flights in the coming years. Fort Lauderdale-Hollywood is one of JetBlue’s fast-growing focus cities, serving customers throughout South Florida and offering a fast and convenient alternative for Miami-Dade travelers. The airline also recently expanded its operation to two new gates in Terminal 3 and began utilizing Terminal 1 for additional international arrivals to help support future growth. Santiago and Grand Cayman become the 58th and 59th nonstop destination offered from Fort Lauderdale-Hollywoodand will open up a variety of new connecting opportunities between the Caribbean destinations and U.S. cities such as Washington, D.C., Philadelphia, Atlanta and multiple west coast markets.